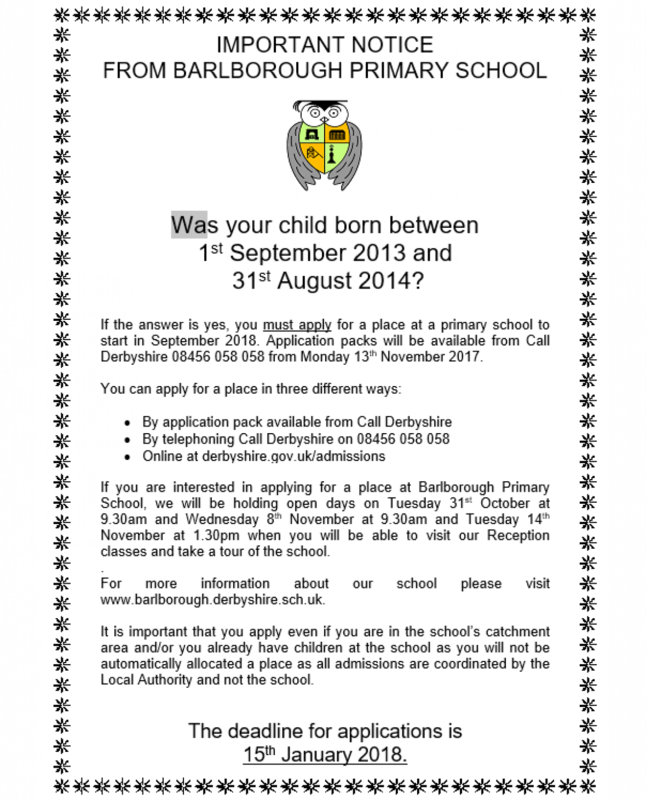 A reminder to all parents wanting to secure a place at Heritage High School to ensure that applications are returned to Derbyshire County Council by 31 October 2018. We welcome visitors to our school that has been graded as ‘Good’ for safeguarding and behaviour in all previous Ofsted inspections, and also in other independent inspections of our school. 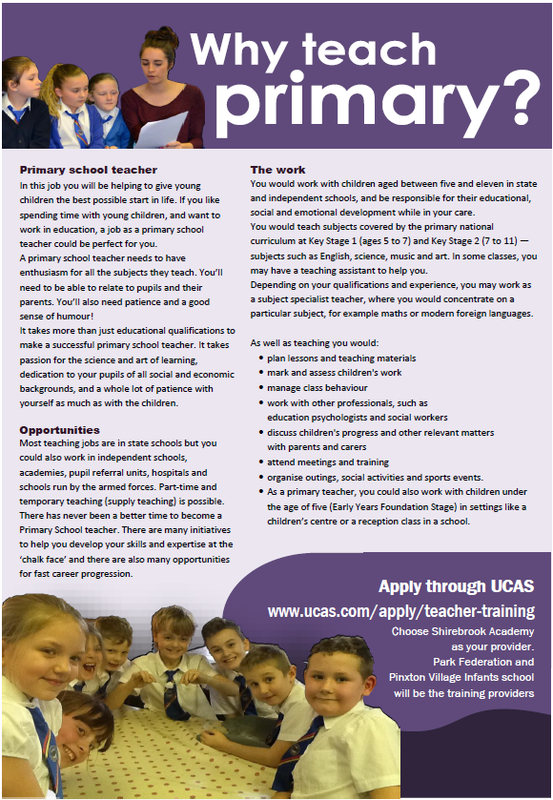 If the answer is yes, you must apply for a place at a primary school to start in September 2019. If you are interested in applying for a place at Barlborough Primary School, we will be holding open days on Tuesday 23rd October at 9:30am, Thursday 25th October at 9:30am, Tuesday 6th November at 1:30pm and Friday 9th November at 11:00am when you will be able to visit our Reception classes and take a tour of the school. If you would like to attend our school on any of these days, please phone 01246 810381 to book a place, as places will be limited. 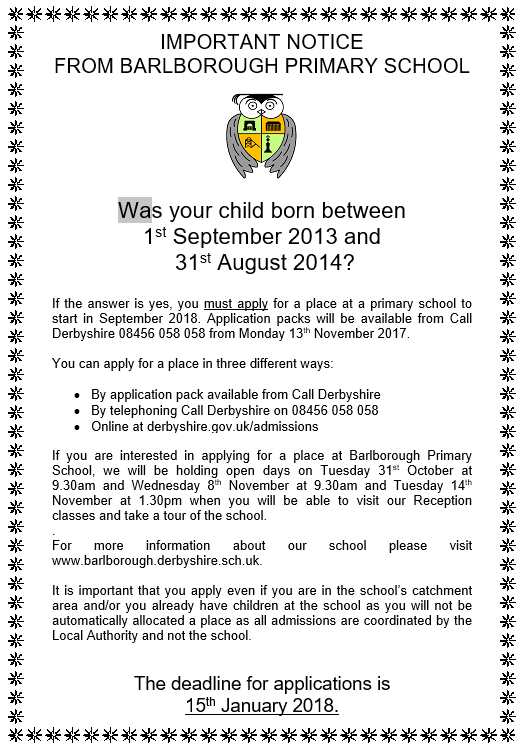 For more information about our school please visit www.barlborough.derbyshire.sch.uk. It is important that you apply even if you are in the school’s catchment area and/or you already have children at the school as you will not be automatically allocated a place as all admissions are coordinated by the Local Authority and not the school. We would like to thank everyone who supported our School Book Fair; we hope that you enjoyed it and we are delighted to inform you that we raised an amazing Â£570! This will help us to replenish the books in our library so that our children have a wider variety of books to choose from. A special thank you must go to Mrs Hartley,who worked tirelessly to ensure the fair was a success! Please come and visit our school book fair beginning on Monday 7th December - Thursday 10th December from 8:30 - 8:50am and 3:00-3:40pm in the school hall. All profits will go towards buying new reading books for our school library! The School Crossing Patrol questionnaire can be found online www.derbyshire.gov.uk/schoolcrossings. 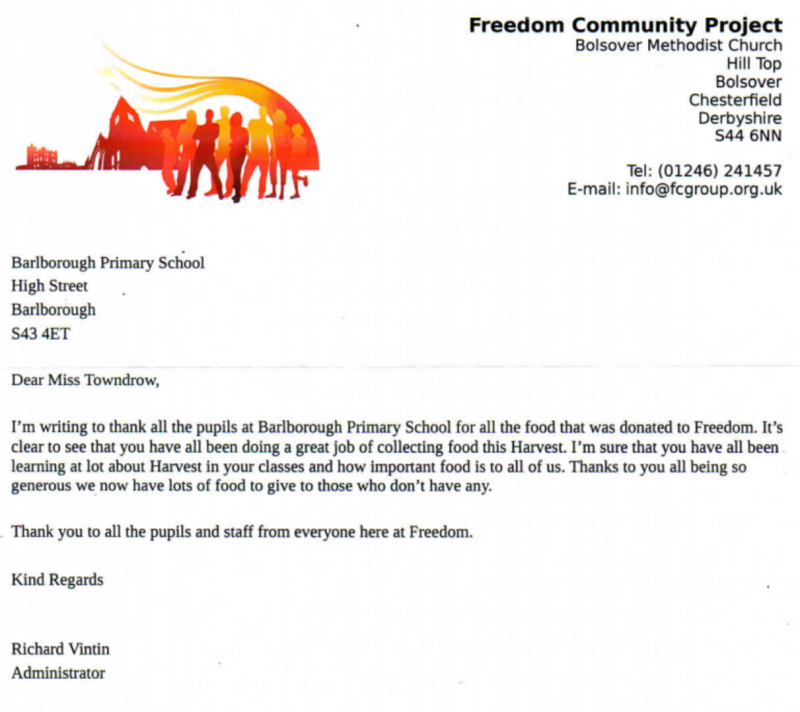 Closing date for responses is 21 April 2015.